COZY BEACH AREA HIDEAWAY! Cute, well-kept 3 bedroom manufactured home with end of the street location. Set back from road with beautiful mature rhodies & camellia. 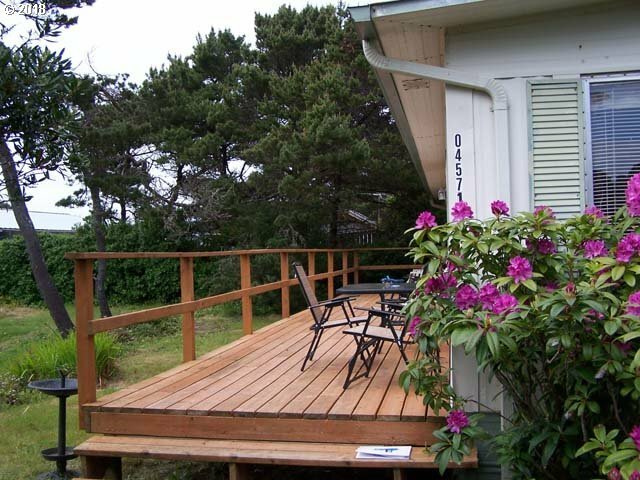 Nice deck for BBQ's Upgrades approx 12 years ago include septic, membrane roof, plumbing under house and electric box. WALK TO THE BEACH!